ConceptDraw Pro has the ability to export to a number of useful file formats, giving its users powerful flexibility when working with others. 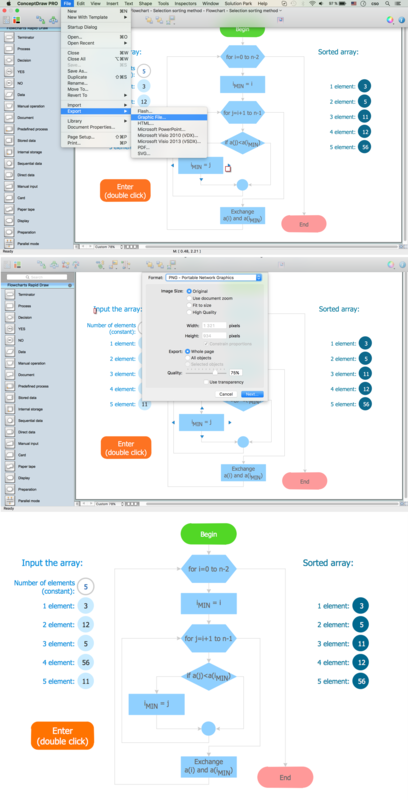 Let’s say you want to export your ConceptDraw document into a graphical format. Open the File menu and select Export. Here you can see all the export options. Click Graphic File to save the document as an image. Select the desired format from the drop-down list. For example, let’s use the png format. A Save as window will pop up. Choose the desired folder and click Save. Now we have our document saved in png format. Pic. 1. 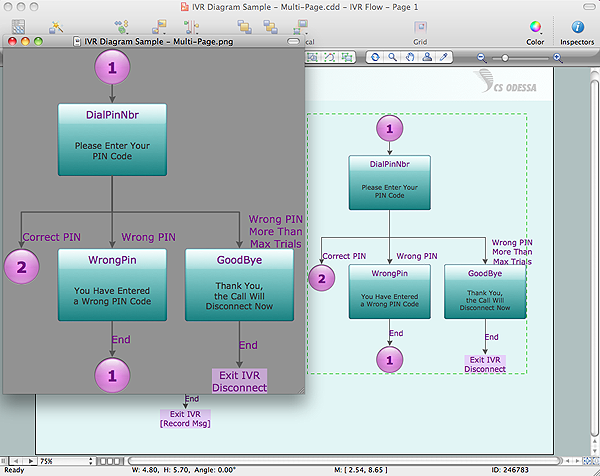 Export from ConceptDraw DIAGRAM document to a graphic file. With the Graphic File export option, you can export your whole drawing, or even just selected objects, into a number of graphic file formats. Pic. 2. The selected objects will be exported into a graphic file. Now it’s easy to share your visual documents with other people in a form most convenient for them. Active Directory Diagrams visualize the detailed structures of the Microsoft Windows networks, Active Directory Domain topology, the Active Directory Site topology, the Organizational Units (OU), and the Exchange Server Organization.